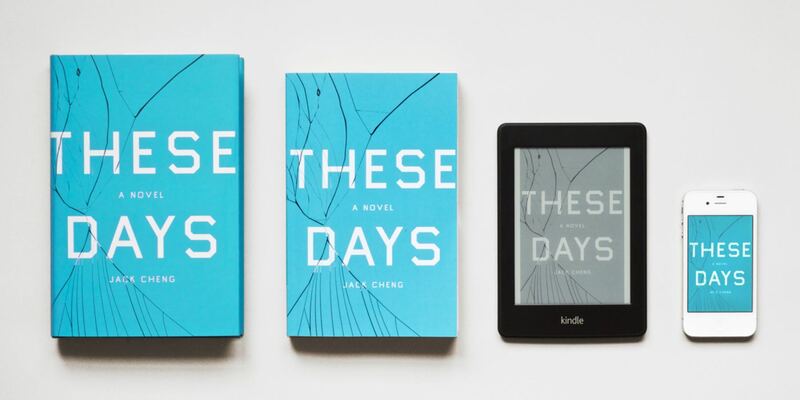 For Jack Cheng, what started as a means to log and annotate his daily observations on life, soon grew and spiralled into his debut novel, These Days , and an eloquent weekly newsletter, Sunday. 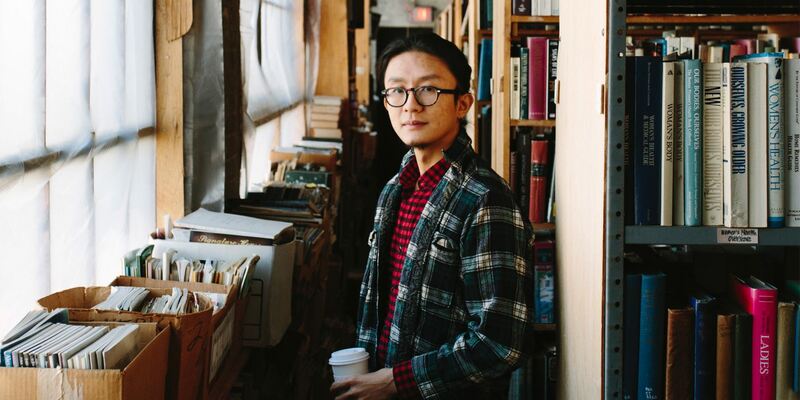 After a successful Kickstarter campaign in 2014, he now spends his time living and writing in Detroit. Were you always interested in writing fiction, or was there a specific moment that prompted a change of direction from designing and copywriting? All of my careers have started out as hobbies. When I was in college I would goof around on Photoshop contest websites and that helped me get my first job in advertising, and while I was in advertising I did freelance web design work on the side and redesigned my blog a billion times—that taught me a how to work with code and drew me into tech. Around when I left advertising I started journaling in the mornings, and a few months in, I sat down to write and the first—I wouldn’t even call them scenes, but fragments—the first fragments of These Days came out. Then I would work on the novel on nights and weekends, and eventually I became confident I could turn writing into my main gig. So it’s all happened very organically for me. The blurb for These Days describes it as a “meditation on time, memory, and things gained and lost in an accelerating world” and from reading your wonderful ‘Sunday’ letters series (“We often emphasise the wrong aspects, falsely pantomime a virginal event rather than the conditions that led to it“), these appear to be areas that still resonate for you. Do you see them as central to the stories your wish to tell? I would say ever-present, rather than central. They might not always be expressed as directly as in These Days , but it’s hard for me to imagine a story not about those things in some way, because, I mean, we’re human beings. Things begin and end, we have memories and imaginations, we live in time. Even if you write a story about someone who’s free from time or memory or loss, then it inevitably ends up being about time and memory and loss. It’s like not thinking about a pink elephant. So if you accept these as the physics of your universe, then you get questions like: What does it mean that we do this (or it gets done to us)? I think those questions, in some form, will continue to run throughout my work, even if the answers change. You’ve previously described writing your first novel as a form of therapy, that the daily stresses of running a startup had crept into the story itself; how have your subsequent experiences shaped the book you’re currently putting together? Good question! These Days was a way of processing my time before startups too—of being in New York in my early twenties and working in advertising, working on pitches and ideas while wanting to be more hands-on in building and making things. So what’s happened since then? Well, I’ve done a lot more travelling—I’ve been on several road trips and spent a winter in South America—and I think that sense of movement is definitely present in the new book. My main character this time around is an eleven-year-old boy on summer break, and I suppose the kind of freedom he has in some ways reflects the lifestyle of a full-time author. But because of his age I’m also going further back in time, treading in deeper waters—my own childhood memories. And that gets even more psychoanalytical, thinking about the events and relationships that have shaped me as a person. The questions my characters have are questions I’ve had and tried to think more clearly about in the last few years, and I often find myself discovering answers as they do. I don’t think that a book is really done—or can be done—until you yourself grow into being able to complete it. Until you learn or clarify the lessons your characters need to learn, there will always be something elusive, unfinishable about the book. It’s like the whole Rilke thing about living your way into the answer—you have to live your way into the final text. In one of your recent ‘Sunday’ letters you discussed what you called “the beautiful question”. In it you ruminated on a question’s ability to sculpt your life, citing David Whyte’s recent On Being podcast episode (“And you don’t have to do anything about it, you just have to keep asking”). What is it about ‘the asking’ that you feel is so important? Another thing that Whyte says in that interview is something along the lines of, “Half of everything is unknown.” Or as you guys might also call it, wilderness. A question is an acknowledgement of the unknown. Though, maybe the asking is what creates the unknown in the first place. Maybe a question is its own wilderness-generator. There’s also an automatic quality to the asking. There’s that, too. Sometimes it’s less about actively asking than it is about not denying that we’ve already asked, and are asking. A friend of mine has this recurring dream of walking alone down a path in the woods. Sometimes there’s a lake to his right, sometimes he meets people and stops to talk to them, other times he sees nobody and just keeps walking on by himself. But he never really gets anywhere, in this dream. He doesn’t know what he’s walking toward. He just keeps going down this path. Why does he do it? It’s not that he has a choice, really. It’s just what he does, and each time he does it, it’s a little different than all the previous times. You have mentioned in the past that we all work in cycles (even noting that you have a particular week in which landmark events often occur), how have you learnt to nurture the cyclic nature of life? We all have some inherent resistance against loss, and things ending. To see the world as happening in cycles helps soothe that anxiety, or at least for me it does. A good friend of mine said that if you’re cognizant of, say, the stages you go through after a break-up, then when you’re in that situation again, your awareness of the cycle can help you reorient yourself. It becomes this constellation in the open sea. Maybe that’s the appeal of the cycle—the cycle is eternal. It will always be there, even if the individual parts of it start and end. It’s something you can have total trust in happening, and at the same time that trust lends itself to gratitude for the immediate. I like that it loops back around, that by being with the everlasting you are also being with the ephemeral. It’s very buddhist. These Days , Jack’s debut novel. So: how to nurture that? Lately I’ve felt that it’s important to be festive. Take part in local traditions, like, here in Michigan, having cherries in the summer or going to cider mills in the fall. When you connect to these rituals of time and place, you’re nurturing a kind of presence, with what’s abundant and plentiful at that moment. Think about pumpkin spice lattes for instance. They exist. We have them, here, in America, in 2016. And pumpkins in the fall harken back to local harvest traditions that predate this country, which come from harvest traditions that are even older. You’re paying four bucks and touching, in a small, subconscious way, ten thousand years of human agriculture. And eons of human ritual around food. Food is an excellent gateway. And of course you can make more substantial efforts, too, like gardening. I’d love to do more of that. I know I’m drinking the Michael Pollan Kool-aid here—or would that be carrot juice?—but if you look at the industrialization of food, I think that’s a good parallel to a kind of industrialization of the human spirit. We often try to come up with these sort-of monoculture life principles that are independent of the world around us. We draw distinctions between mind and body, body and environment, environment and culture. We try to impose these conceptual boundaries on things that aren’t really so separate or distinct. It’s often better, I think, to listen to what everything around you is signaling than operate on some preconceived strategy for how to get through life. And sometimes a pumpkin spice latte can make you forget the need to plan out every aspect of your existence. Location also appears to play an important part in your life; be it the physicality of what you describe as the ‘habit field’, or your relationship with the city of your birth, Shanghai. In what ways does it affect you personally, and, as a result, the work you produce? There’s a mode of living that comes with every space, whether that’s a desk or a city. Being here in Detroit, for instance—it’s not only a different pace than in New York but has its own set of routines. You can’t walk everywhere and you can’t order food at 10pm because nothing’s open. The diversity you see tends to be at the places people gather, instead of interstitially—in commute. But you adjust to it, like everything else, and that adjustment changes what you see and value and expect out of life. The last few months that I lived in Brooklyn—during that time, I was renting a yurt part-time in the Catskills, and I would drive up every other weekend or so and on my way up I’d be worried that I’d feel lonely there, because in New York you’re so constantly surrounded by—if not a ton of people, then the detritus created by a ton of people—so that when you’re really alone in the city it feels not entirely normal. But there’s this one bend an hour outside the city, going north on NY-32, that as soon as you make it, you see the first of the big mountains. And you’re driving straight at it, it’s directly in front of you and, I remember, as soon as I saw that mountain I knew I would be OK. It was like, at that very moment, I could literally feel the city mentality falling away, and I was in a different mode. That bleeds into the work, no doubt. Though I can’t yet pinpoint what it is about Detroit that’s going into the current work, I think maybe because I’m still here, I’m still in the middle of it. It’s like, you don’t fully see or appreciate the ways in which a place is unique and ridiculous unless you’re outside it. And maybe where you write from has even more sway on the work than where you’re writing about. Jack spoke at the 2013 XOXO Festival. That’s not to say you need to go off into a yurt in the woods to do all your writing, because every place has its own influence. There’s that concept of terroir—it’s a wine term, about how the conditions of the soil, landscape, environment, effect-with-an-E the unique flavor of the grape. It seems like a no-brainer—Of course that stuff matters!—but I don’t think we give it enough credit. People talk about fiction being good at putting you in someone else’s head, but that’s only the top level. A filter. What fiction does also is let you experience space—physical, psychological—through character. You get to taste the soil and air and rain and sun, through the fermented juice of the grape. I want to tell my friends who don’t read fiction: Instead of thinking about a novel as being in someone’s head or being entertained by a story, try thinking about it as travel to a foreign country. Are you creatively satisfied, or are there things you’d still like to work towards? There’s an Emerson line that comes to mind, about how ambition is a factor of skill and experience—“The height of the summit is proportional to the width of the base.” The more you do and accomplish, the larger of a foundation you have to build on. I like that—I like thinking of ourselves as mountains. But maybe there’s also an aspect of it that doesn’t change so easily, like, maybe the actual shape and proportion of the mountain stays the same. Some people’s mountains are steeper. They exist at sharper grades, have uncommonly wild ambitions for their abilities. Others are more gradual, pragmatic, and it’s not that one is necessarily better than others. Just different. And maybe getting older and coming to understand yourself—maybe part of that is figuring out the shape of your mountain. Have you immersed yourself in the writing community? If so, how important is this to you? Is it similar to that of the design community? Community is a tricky word here, because I think it implies a certain kind of participation—your best friends are writers, you spend most of your time around book people, you go to readings and are up on trends in the industry … I think when we talk about immersion in a community that’s what comes to mind, and if that’s the definition then I wouldn’t say I’m fully immersed in the writing community, and wasn’t fully immersed in the design community either. But I’ve come to think about community in a slightly different way—a more physical way—as something like a neighborhood. I’m friendly with these people and see some of them around the neighborhood from time to time, but I don’t go to every block club meeting. Maybe I’m hesitant because I’ve moved around enough times in my life, both physically and professionally, that I don’t want to set down roots and have my heart broken. Or maybe I’m not more ready to take an active role yet because I haven’t lived here long enough, and it’s only just starting to feel like a home. It’s definitely important to me—it’s that connecting to your surroundings thing I was saying earlier—but I think I’m also starting to accept that the connection can happen to varying degrees. It doesn’t have to be all-or-nothing. What are you reading at the moment? Who would you recommend? I’ve been reading a bit of sci-fi. The weirder, more-literary kind of sci-fi. I just finished Charles Yu’s How to Live Safely in a Science Fictional Universe , as well as the second book of Jeff VanderMeer’s ‘Southern Reach’ trilogy (maybe why terroir is kicking around in my head). Now I’m on Samuel Delany’s Dhalgren —which I started last year but put down halfway through because I was in the mood for something a little more brisk at the time. Delany’s fantastic. I was introduced to him through an Afrofuturism book club here in Detroit and my favorite book of his I’ve read so far is Nova . Nova is the kind of sci-fi I really enjoy—light on exposition but built around a handful of big technological ideas. And it treats its technologies less as these shiny new things and more like familiar aspects of existence, like books or the internet—where we have a hard time imagining what life was like before them. Jack Cheng was born in Shanghai and grew up in Michigan. He spent nine years in New York, first as an advertising art director and copywriter and then the co-founder of an interactive design agency. In 2014 he Kickstarted his first novel, These Days , and has been more or less on the road ever since. He currently lives in Detroit.